Pizza D’oro, located at 3115 Victory Blvd, sits in-between the cross section of the neighborhood lot of modern stores, a new Tim Horton’s, and is snug tightly next door to a Tarot Reader. It can often appear like the place is frozen in time while everything around it has been modernized and that’s just the way most fans like it. 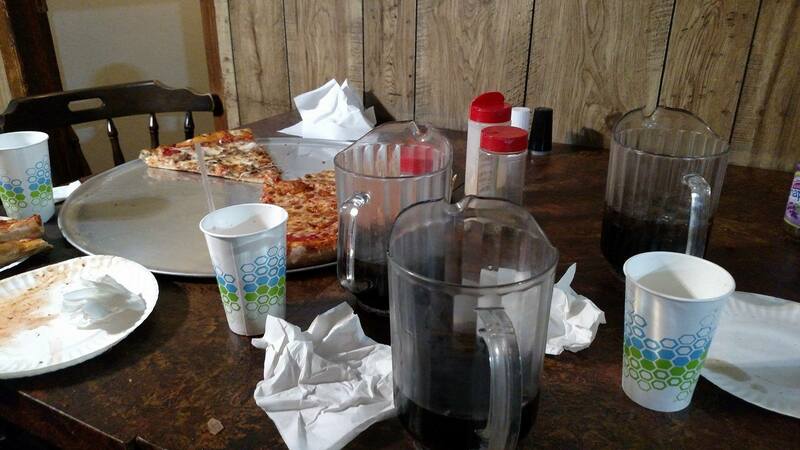 Very recently, Pizza D’oro experimented with hosting the local Super Live Adventure podcast live show in their backroom on an unassuming Monday evening. The experiment was an overwhelming success and people who had never ventured to the humble little pizza spot are now full-converts. 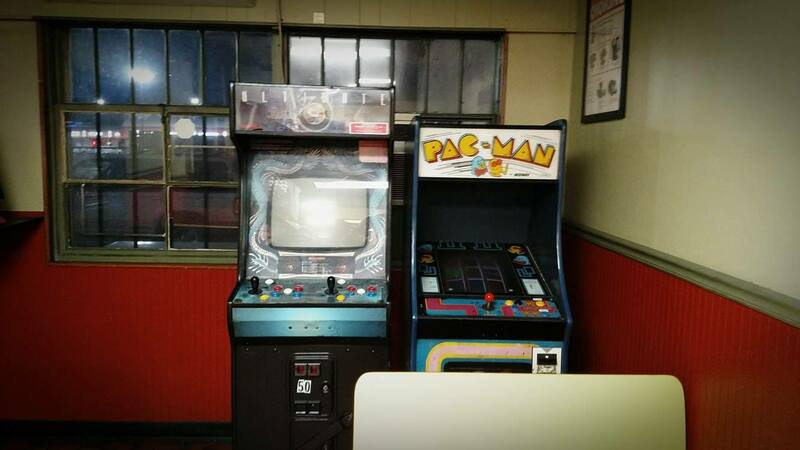 The place is rife for local nostalgia junkies, with retro arcade cabinets and a vintage early-90s Simpsons placard adorning wood & brick-paneled walls dressed in year-round Christmas lights. 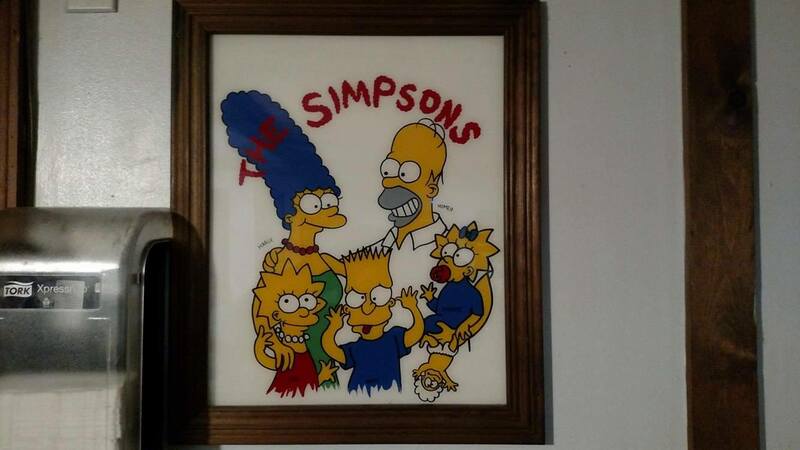 This place is 1995 24/7. 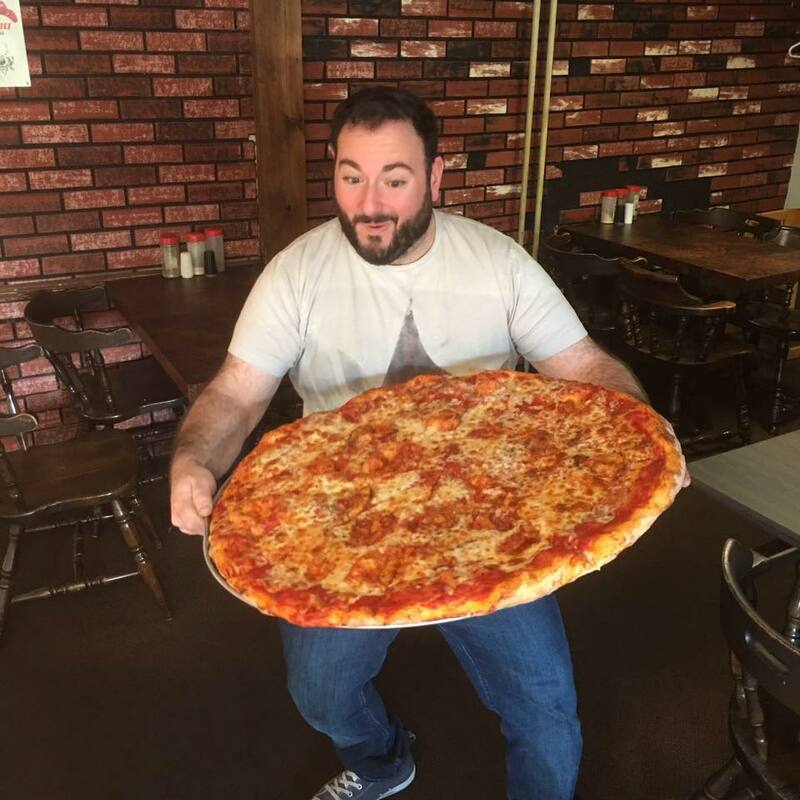 To say nothing of their signature Mega Pie, a pizza pie so big that if you were able to finish one by yourself, SLAP podcast co-host and local artist Chris Sorrentino had offered to front the cost. I’ve eaten a lot of pizza in my lifetime. 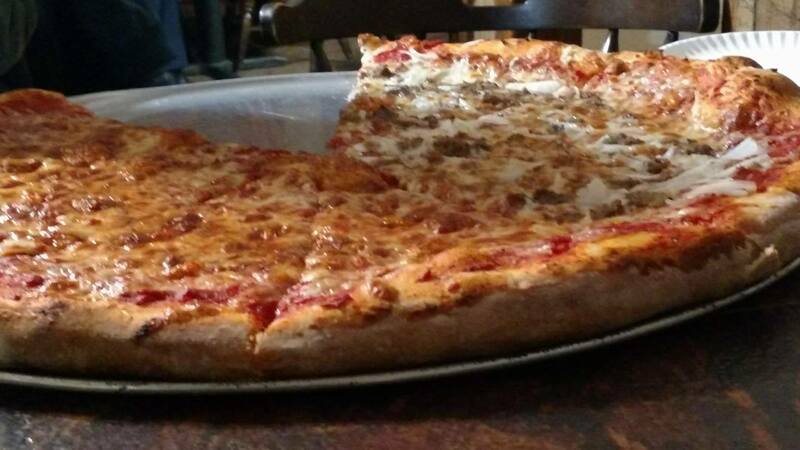 Taking down at least 3/4 of a pie is just second nature to a fat kid from SI, so I didn’t bat an eye at the thought of devouring at least half of a Mega Pie solo. I could not have been more wrong. By the second slice I was just done. I made it to three partly out of a sense of duty, but mostly because I lack any dignity or self respect. If anyone can tackle that thing alone, I’d like to shake their hand. It’s truly a feat of strength. Chris and his SLAP co-host, comedian and Impractical Jokers writer, John Szeluga will be returning to Pizza D’oro for a fresh recording on April 24th with a special guest TBD.